August 29, 2011, 9:42 a.m. Eating chocolate could benefit the heart, a study finds, possibly lowering heart disease by 37%. The results come from a meta-analysis released online Monday in the British Medical Journal. 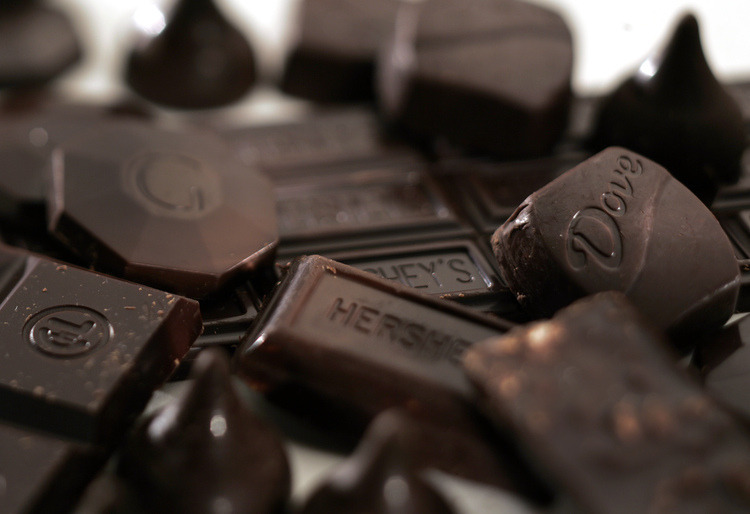 Researchers from the United Kingdom and Colombia focused on seven studies looking at the link between eating chocolate and a reduction in heart disease that included 114,009 people. Of those seven, five showed an association between higher levels of chocolate consumption and a lowered risk of cardiometabolic illness. The highest levels were linked with a 37% drop in cardiovascular disease and a 29% reduction in stroke, compared to the lowest levels. There was no significant association seen between chocolate consumption and heart failure, and only one study drew a link between eating chocolate and a lowered risk of diabetes. None of the studies, including the meta-analysis, were funded by a chocolate company or a related industry. But before you dash to the supermarket to buy that five-pound bag of M&Ms, the study authors caution about eating chocolate with abandon. After all, they point out, chocolate isn't exactly calorie-free. Although the participants in the studies ate a variety of chocolate products, including chocolate bars, drinks, nutritional supplements and desserts, all chocolate is not created equal, and eating too much of the stuff that's filled with fat and sugar can put on pounds, possibly upping the risk of high blood pressure and diabetes -- the very stuff that can lead to cardiovascular problems. The study authors noted that among the studies there was no obvious dose-response relationship between chocolate and the risk of cardiometabolic disorders, so for now, everything in moderation, as they say. And although the studies reviewed did control for a number of factors, including age, body mass index, physical activity, smoking and aspects of diet, there still may be other factors at work causing the heart benefits. If chocolate is the root of these heart-healthy advantages, it may be due to its polyphenol content, anti-oxidants that could improve endothelial function (which may affect the risk of stroke and heart attack) as well as have a positive effect on blood pressure and insulin resistance. More studies are needed, the authors wrote, to go beyond just an association and determine causation. We guess that means scientists will need more study participants willing to eat chocolate. That's going to be tough.